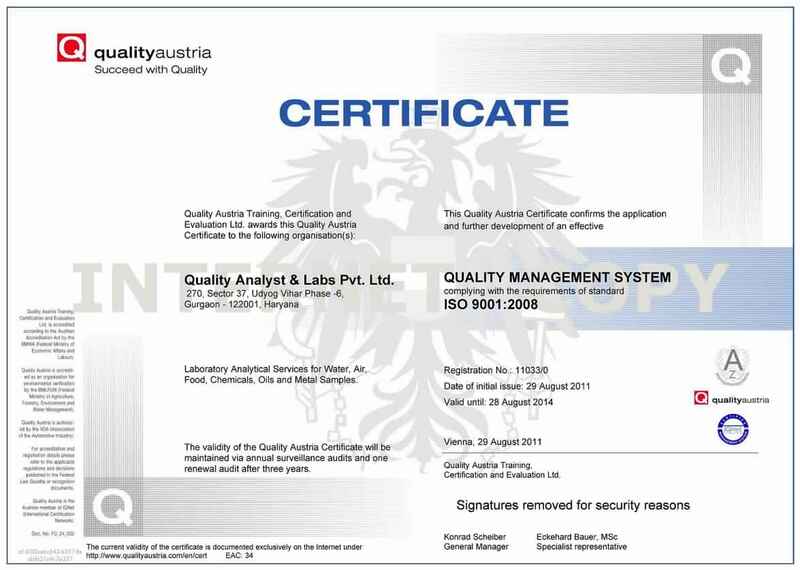 QUALITY IS FOREVER` is the founding principle of Quality Analyst & Labs P. Ltd. The company was started in year 2000 with a modest beginning and as it grew and attracted Quality Conscious consumers it was fully incorporated as a Private ltd. Company in year 2003. We strive to provide test results in the shortest possible time period without compromising on the quality of test results. Our turnaround times are the fastest in the industry and we strive hard to stay ahead always to meet your goals. We provide complete range of analytical services in order to fulfill your need under one roof. We undertake high volume samples to highly specialized analysis to custom analysis. Our range of services have been designed keeping the needs of the clients in mind. The complete focus is on customer delight and providing value for money. We work closely with our clients in developing customized solutions to their needs. We are committed to reach the depth desired for solving unusual problems of our clients. 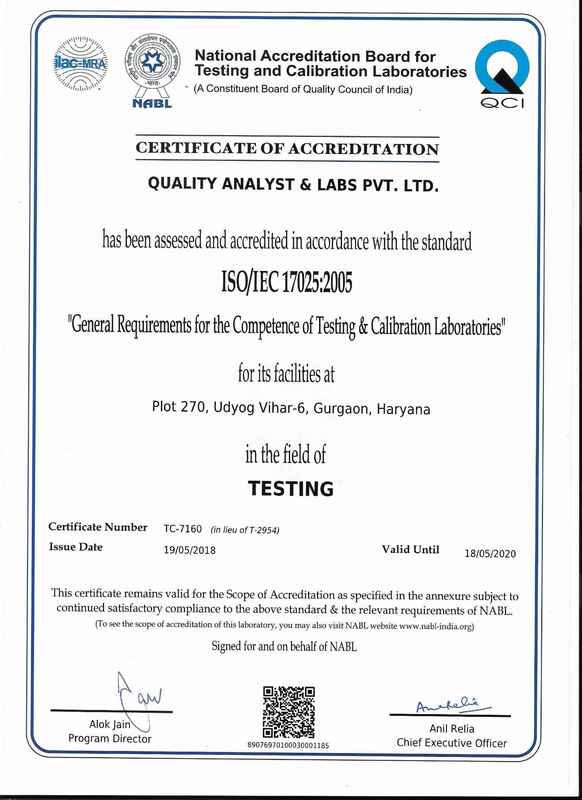 Our commitment to Quality results and Quality services is monitored by a comprehensive quality assurance program which includes inter laboratory and intra laboratory inspections. Accreditation programs are part of our systems and we are accredited by NABL, ISO 9001, ISO 14001 Certified, CRISIL rated, Approved by MHO and above all by our valuable patrons.